The First Wildflower of 2012 . . . The New York region’s weather has resembled the middle of March for all but a few days of this 2011-2012 winter season. One of the effects of modest precipitation combined with moderate temperatures has been an odd kind of eternal spring. I took a lunch hour stroll through the West Village on Monday, February 6, in part to enjoy the light and air of this gentle weather. Days like this allow me to contemplate one of my favorite outdoor aesthetic combinations: the weathered grays and tans of bare trees backlit by a silver sun, blue sky, and white clouds. Such views, like the air itself, are the cleanest of the year. The quiet beauty can purify the eyes in a city overloaded with coded manmade imagery. 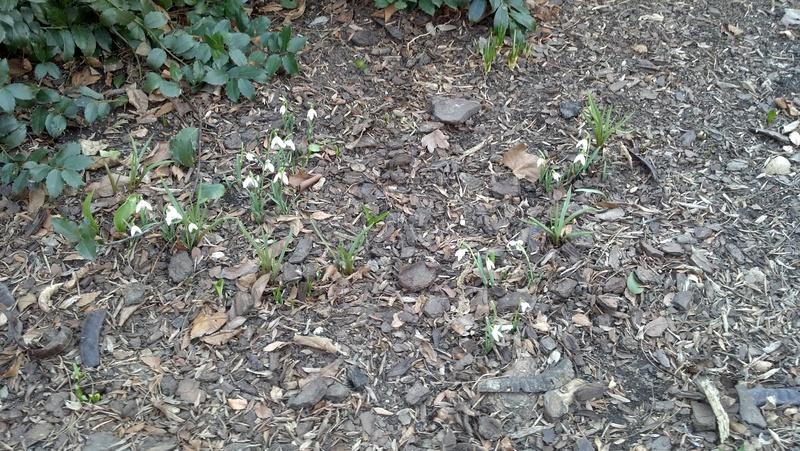 During my walk, I sighted the first blooming wildflower of 2012 growing along the edge of the Jefferson Market Garden near the corner of Greenwich Avenue and the Avenue of the Americas. 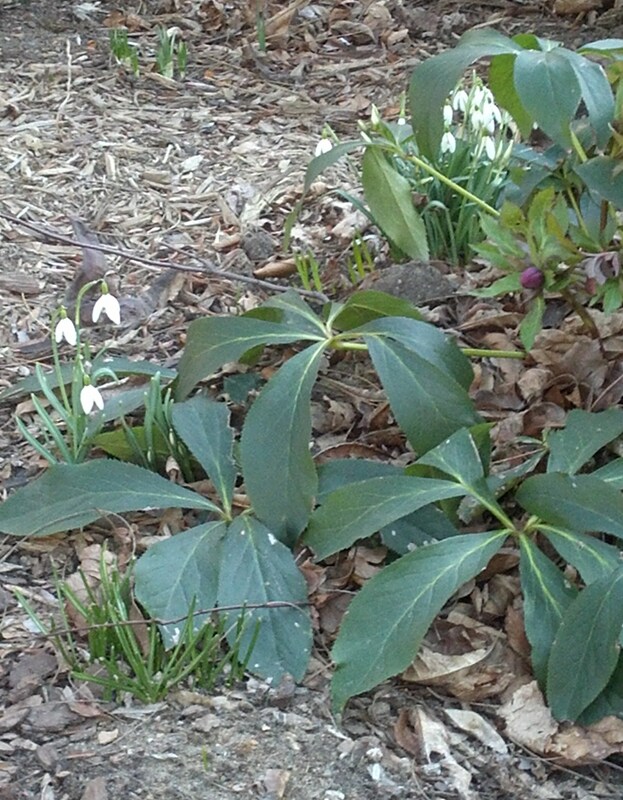 The species: Common Snowdrop, Galanthus nivalis, which I described last year . . . The beauty of this bloom springs eternal. The difference, this year, is the remarkable earliness of its emergence: nearly a month sooner than last year. Good timing! The flowers can serve as a symbolic sign of celebration for the NY Giants winning Super Bowl XLVI. Meanwhile, will this mild winter correspond to an equally mild summer? Let’s see . . . Let’s hope! Galanthus nivalis ( ‘of the snow’ http://en.wikipedia.org/wiki/Galanthus_nivalis ) They came out in my garden as well, but we have minus degrees since some days and now snow is falling.